The US-backed Aliyev regime uses gimmicks and tame opposition to stay in power. Since 1995 when Heydar Aliyev and his family consolidated their stranglehold on power in Azerbaijan, assisted by the US and Israel, the regime has created an artificial political process, that to the uninformed may appear like a lively socio-political environment. The reality is that all processes in Azerbaijan, whether political, social or economic, are nothing more than gimmicks managed by using despotic means. After conducting extensive research using primary and secondary sources, Crescent International can offer the following analysis outlining tools used by the Aliyev regime to maintain its illegitimate grip on power and sustain the artificial socio-political facade. Drumbeaters for the US policy of backing autocratic rulers in the Muslim world are sometimes able to point to certain criticisms against the Aliyev regime as a manifestation of freedom of speech in Azerbaijan. This severely controlled “criticism” scheme is nothing but an instrument of the ruling family to pressure, potentially, the not-so-loyal members of the regime. For example, media outlets in Azerbaijan are occasionally permitted to criticize Kamaladdin Heydarov, a musician who is currently the Minister for Emergency Situations. Cables released by Wikileaks show that US Charge d’Affaires in Baku, Donald Luidentified Heydarov as the second most powerful oligarch family in Azerbaijan after the Aliyevs. Apart from being the cadre of the regime, Heydarov has periodically demonstrated a tendency to not obey his master 100%. The entire “criticism” scheme in Azerbaijan is sometimes tolerated by the regime as long as it diverts the blame away from the ruling family. Those who expose, directly or indirectly, the corruption and incompetence of Ilham Aliyev end up in jail — like the Chairman of the Islamic Party of Azerbaijan, Dr. Movsum Samedov — or are killed — like journalist Elmar Husseinov in 2005. Recently the regime has resorted to a new tactic by invading the private lives of its critics. The regime’s operatives have installed hidden cameras in the homes and bedrooms of its critics that film them in intimate moments. This happened to Khadija Ismayilova, an investigative journalist and popular talk show host with RFE/RL’s Azerbaijan Service. The aim of the regime is to blackmail critics by threatening to broadcast such films. Just like the Aliyev regime itself, heads of many opposition groups, especially those that are frequently referred to in the mainstream Western media as the main opposition parties, are fragments of the Soviet bureaucracy. From 1995 until 2003 the Aliyev regime used them to legitimize the contrived “elections” in Azerbaijan. Political parties partially tolerated by the regime frequently participated in such “elections” where results were already predetermined in favor of the regime. The participation of opposition parties provided the Aliyev-organized “elections” a veneer of competitiveness and earned such opposition parties the status of pseudo-opposition among many in Azerbaijan. This method, only partially in use today, provides Western backers of Ilham Aliyev with the mask of a “reforming” regime. After 2003, the regime felt sufficiently confident to discard the need for pseudo-opposition parties in its election masquerade. From 2003 to the present, the regime’s apparatus has used many opposition parties to divide the society and divert its energies toward a socio-political process that does not present a strategic challenge to the regime. The regime manages naïve members of the opposition by allowing them to perform minor acts of activism. Whenever the regime experiences a serious challenge, leaders of the opposition parties take a back seat. This was the case with mass protests in Quba region in March 2012 and during the series of anti-regime rallies organized by the Islamic movement against the Hijab ban in 2010 and 2011. This position has further reinforced the label of pseudo-opposition on “major” opposition parties. While the opposition constantly speaks of trying to establish secular democracy modeled on the West, many leaders of opposition parties have held their positions for decades even after losing “elections”. While in the Western model, leaders of political parties resign after being defeated at the ballot box. The Aliyev regime also exerts indirect economic control over the officially tolerated opposition by making it partially dependent on financial handouts from Western NGOs that are backed by Western imperialist powers. These Western powers are strategic allies of Aliyev. As do most autocratic regimes worldwide, the ruling caste in Azerbaijan has monopolized the means of daily earnings. In 2011, even a US registered banana importing company, Cool Zone Caspian Ltd, could not import bananas into Azerbaijan because it was the monopoly of the ruling family. In May 2012 RFE/RL’s Azerbaijan Service published detailed findings pinpointing highly preferential treatment of the Aliyev family-run companies in gold mining and construction. The monopoly atmosphere in Azerbaijan’s business environment provides the regime with the ability to bankrupt its opponents or force them to leave Azerbaijan to earn a living. In Russia alone there are an estimated three million Azeris, many of them guest workers. Apart from the security establishment being the torture instrument of the ruling family in Azerbaijan, the regime also uses it to facilitate “legal” means to imprison opponents. The implementation of this “legal” scheme consists of planting drugs or weapons inside the homes or vehicles of opponents. 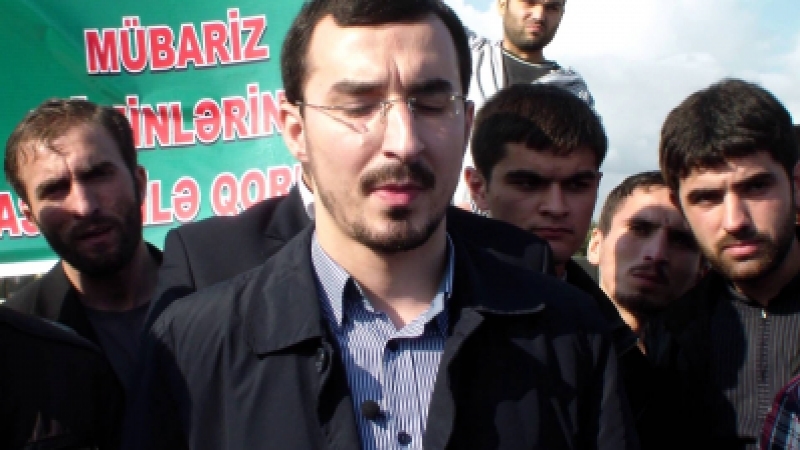 Arrest of prominent journalists Ramin Bayramov and Nijat Aliyev, and Muslim scholar Abgul Suleymanov are some of the most notorious recent examples of this scheme. 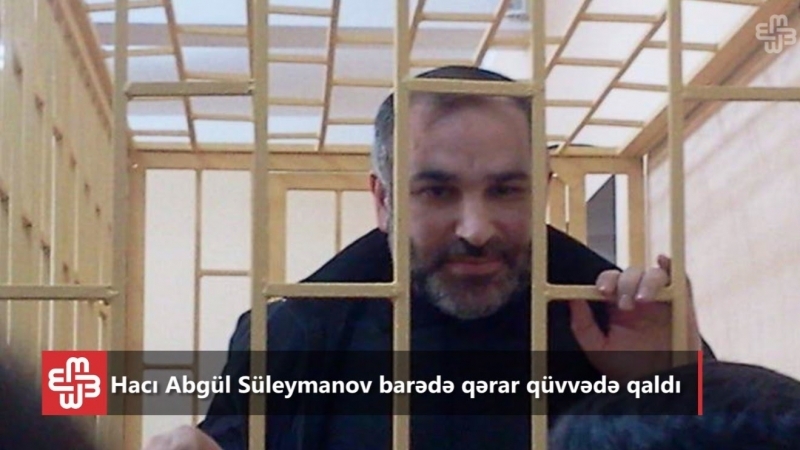 The interesting manifestation of incompetence of implementing these types of arrests by Aliyev’s thugs is that often such arrests are conducted by the so-called National Security Ministry, a state agency responsible for intelligence work and not drug crimes. It shows that the regime distrusts the police and uses state institutions not for state protection, but for its own survival. Fabricated charges that attracted much international attention involved the cases of three prominent journalists Sakit Zahidov, Qanimet Zahid and Eynulla Fatullayev. The institution that is least used by Aliyev’s regime to suppress the population in Azerbaijan is the National Army. It is a widely known fact, confirmed by Crescent’s sources on the ground that most of those that get drafted into the army are from the impoverished segment of society who cannot afford to bribe their way out of military service. This segment of the population is the least likely in society to implement oppressive orders of the regime. Therefore, the regime does not rely heavily on the army, but occasionally it is also used as a tool of oppression. In May 2012 anti-regime activist Jabbar Savalanli was drafted into the army just five months after being released from prison. As a military recruit, Savalanli is not allowed to participate in any sort of political activities. The army draft is an old technique of Aliyev’s regime to keep its opponents under control, but today it is used less frequently. The last stop of serious opponents of the dictatorship in Azerbaijan, before being assassinated, like Colonel Fetulla Huseynov in 2004, is prison. The regime imprisons its political opponents until they no longer present serious political challenge or until the torture system in prison breaks their spirit for struggle. According to Crescent’s sources, since 2001 prison officials have not tortured political detainees by themselves; instead, this function is now handed over to prisoners that get benefits from prison administrators for making the life of political detainees miserable. This methodology allows the Aliyev regime to claim that they do not torture prisoners. Another form of torture conducted in prisons is the economic type. In Azeri prisons, detainees are expected to pay a bribe for such basic things as shower, access to proper toilets and decent drinking water. This system makes poor prisoners open to manipulation by the prison authorities to implement the regime’s criminal schemes against political prisoners. Political prisoners are sometimes released only after they write a Soviet style plea for amnesty to Ilham Aliyev confessing their “crimes.” At other times, special conditions for amnesty are imposed on political prisoners for release, like visiting the grave of Heydar Aliyev that is then publicized by the local media, as was the case with the former Prime Minister, the national hero of Azerbaijan, Colonel Suret Husseynov. Muslim activists view arrests and other forms of harassment from the regime’s forces as a natural process in fulfilling their Islamic and existential duty of confronting injustice and oppression... Many intellectuals, journalists, politicians and research institutes have been speculating about the prospects of change in Azerbaijan due to events in the wider Muslim East. The methods outlined above have sustained the Aliyev regime in power without serious challenge since 2003. Currently the standard tools of repression are becoming slightly weaker due to the inspiration Azeris have gained from the Islamic Awakening sweeping the Arab world. However, the primary reason why standard tools of oppression are becoming less effective is because the regime is facing increased opposition from the Islamic movement in Azerbaijan. Muslim activists view arrests and other forms of harassment from the regime’s forces as a natural process in fulfilling their Islamic and existential duty of confronting injustice and oppression. Therefore, as a movement they are immune to the concept of defeat and punishment defined by the regime. 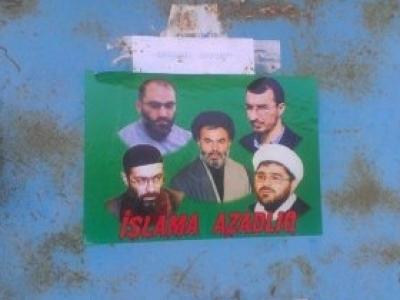 Proclamations made from prison by leading Islamic scholars like Taleh Bagirov, Dr. Movsum Samedov and Abgul Suleimanov show that the Islamic leadership is determined more than other opponents of the regime to challenge it in every aspect. Many intellectuals, journalists, politicians and research institutes have been speculating about the prospects of change in Azerbaijan due to events in the wider Muslim East. Most analyze the situation in Azerbaijan by drawing comparisons with Egypt or Tunisia. Crescent’s analysis tends to differ on this issue because in Egypt even with severe restrictions, there were partially free syndicate elections and in Tunisia the army was competent and independent enough to pursue its own agenda. Neither of these two crucial factors exist in Azerbaijan these days. Today the Aliyev regime is facing opposition in the spheres of media and civil disobedience. The only institution from which the regime has not yet faced serious challenge is the security apparatus because people have restrained themselves so far. However, due to the regime’s continuously escalating aggressive methods some segments of the population might soon resort to legitimate means of struggle outside of conventional socio-political norms. As money can buy any job in Azerbaijan one wishes, the security apparatus of the regime lacks qualified and ideologically motivated cadres. In fact all of the well-known military commanders from the days of the Karabakh War are the staunchest opponents of the regime. Thus, many people in Azerbaijan are beginning to realize that the most widely used tool of the Aliyev regime is in fact its weakest pillar. If people choose to challenge the regime on this level, Azerbaijan will go down a slightly different path from that in Egypt or Tunisia.